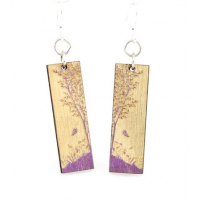 Green Tree wood earrings are the company's original styles! These include everything from your classic everyday earrings to the fun and funky styles for every event and holiday! 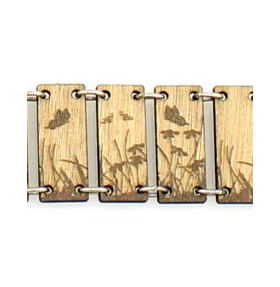 Green Tree Jewelry's laser cut wood Blossom earrings are for the person that prefers smaller, brighter earrings! Blossoms have a more limited, but brighter color selection than the original green tree line. 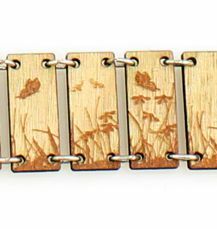 Green Tree wood bracelets are the perfect blend of modern and earthy, giving you a new fashion look and sense of style. 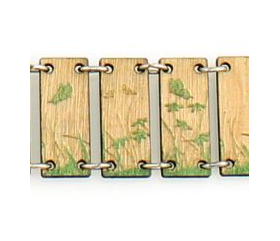 Bracelets are linked together with steel rings, made with sustainably harvested wood and hang on 90 percent recycled tags. 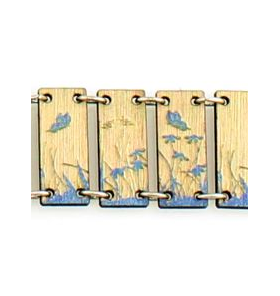 All bracelets come with 1.5 inch size adjustment chain. 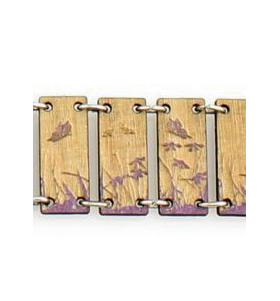 See each bracelet link for exact range. Choose one pair of earrings & one bracelet to match, choose your color - from the dropdown box.